Accor has added the Grand Mercure Apartments Cable Beach Resort to its fast-growing franchise network, with the former Broome Sanctuary Resort, originally opened by Rendezvous, rebranding from 1 March. Accor has added the Grand Mercure Apartments Cable Beach Resort to its fast-growing franchise network, with the former Broome Sanctuary Resort (originally opened by Rendezvous) rebranding from 1 March. The resort comprises 150 studios and self-contained one- and two-bedroom apartments and three-bedroom villas, some with private plunge pools. Set around a huge tropical lagoon-style pool and located just a short walk from what is arguably Western Australia’s most beautiful beach, the Grand Mercure Apartments are close to all the attractions of Broome and provide a gateway to the Kimberley region. All apartments have covered courtyards or balcony areas and feature modern décor which draws on the rich colours of Broome. The resort features five swimming pools including a kids’ pool, Pindan restaurant and bar and Sorbet, one of Broome’s premium Day Spas which offers extensive water therapies and body treatments. There are also conference facilities for up to 100 delegates. Cable Beach is renowned as one of the most stunning beaches in the world, with 22 kilometres of powdery white sand fringing the turquoise waters of the Indian Ocean. Situated in the State’s north, Broome is an oasis of colour, culture and characters, with a relaxed vibe and a vibrant landscape. 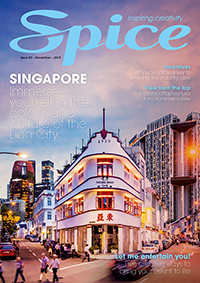 It boasts a lively arts scene, sophisticated dining and plenty of attractions from the famous “Staircase to the Moon’ and a rich pearling history to dinosaur footprints said to be 130 million years old. Grand Mercure is Accor’s upscale apartment brand, designed to meet the requirements of long-stay business guests, families and groups who prefer the ‘home away from home’ comfort found in an apartment. Located in major city, regional and resort locations, Grand Mercure provides stylish apartments and villa-style accommodation, often with extensive leisure facilities. With 22 hotels across Australia, the Grand Mercure brand is also represented in New Zealand, China and Thailand, with than 4800 rooms globally. 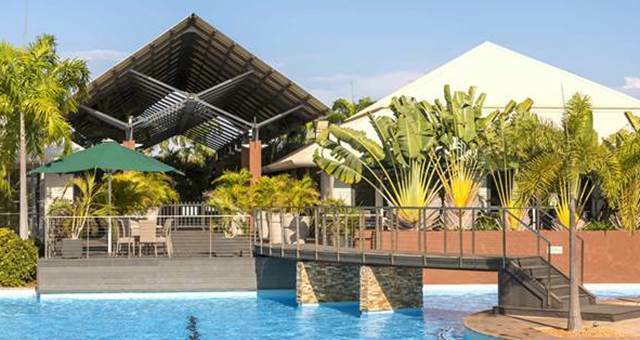 Grand Mercure Cable Beach Resort joins other apartment hotels in the Hunter Valley, the Whitsundays, Melbourne’s Docklands, Hervey Bay, Townsville and other key locations. Oaks Cable Beach Sanctuary in Broome, WA, has unveiled its modern makeover.